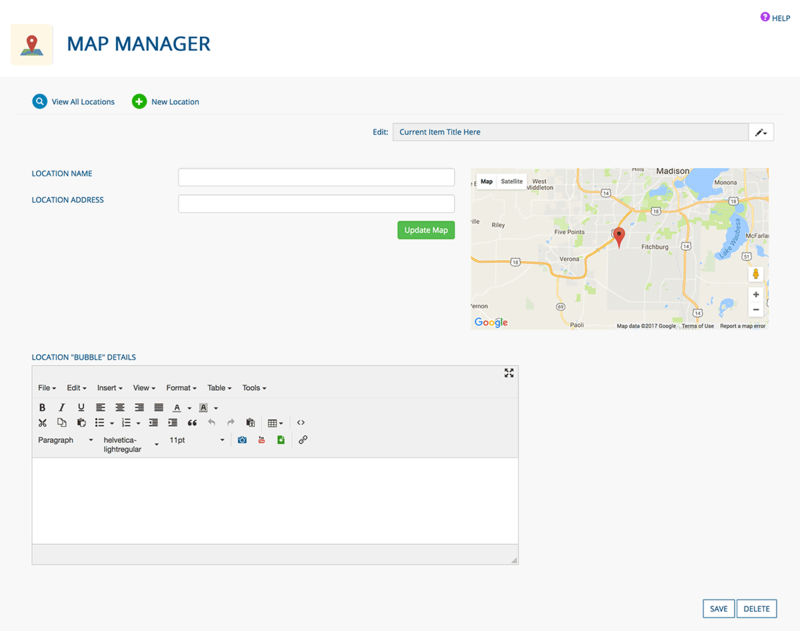 Visit the Map Manager by selecting it in the app menu or by visiting the Dashboard and selecting it there. 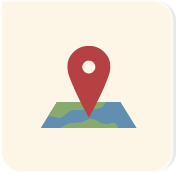 Use this app to create a Google map showing your website users a location or set of locations. Edit or delete a location with the icons (C) at the far right. You also can edit a location by clicking its title (D). Return to this page by clicking VIEW ALL LOCATIONS (E) from any page within the app. Click NEW LOCATION from any page in the Map Manager app. View the pin on the map to confirm Google has found the address. Enter LOCATION "BUBBLE" DETAILS in the page editor. 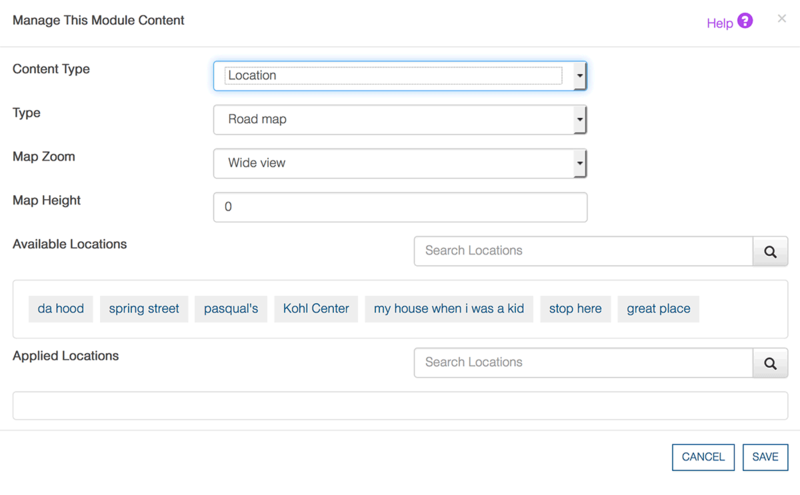 This is the content that will appear when a user clicks on a map marker. Example: Our downtown location is located across the street from Associated Bank. Parking is available in the 2nd Street Ramp. Click the SAVE button when you are finished creating/editing your location, or the DELETE button to delete it. 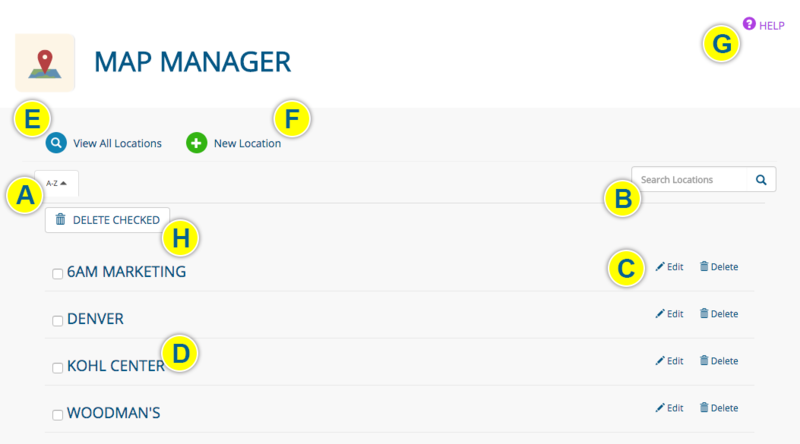 Click a location in the ADD LOCATION field to apply it to the map; it will move to the APPLIED LOCATIONS field. Click a location in the APPLIED LOCATIONS field to remove it. Add as many locations as your map requires.